I’ve seen a few kickstarters just take off, but the idea of doing statues through kickstarter campaigns is still relatively new and I hadn’t seen any just skyrocket… until now. 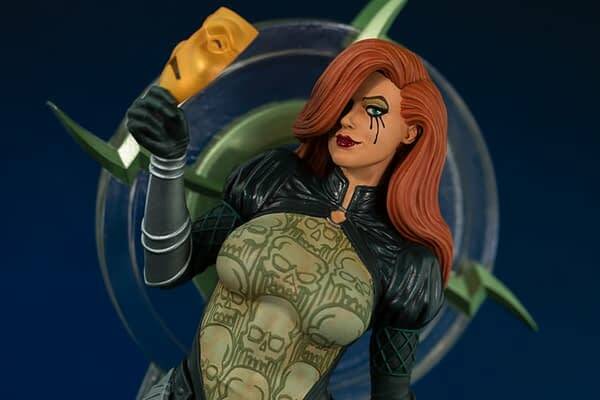 The 30th anniversary of Joseph Michael Linsner’s Dawn is this year and he’s teamed with Dynamite Entertainment and RVCKVS International for this limited edition statue. The kickstarter began four days ago and it has already blown by the initial $6,000 goal by more than 300%. Currently sitting at over $21,000 and having met two stretch goals… an costume variant version of the statue and the art print has been made bigger… the project doesn’t seem to be stopping any time soon. The top tier of the campaign was five original drawing by Linsner at $500 a pop. Those sold out with in hours. A new top tier has recently been added, limited to three backers, of an original 11×17 drawning by Linsner for $1,000. One of those has already sold with only two remaining. The whole project funded in just six hours. Now anyone who backs it, knows that its going to happen and that they can get the statue cheaper here than at a retail location. Plus there is the signed print and the signed 2018 sketchbook that are also offered up as rewards making this a really good deal for Dawn fans. You can see more about the statue here.